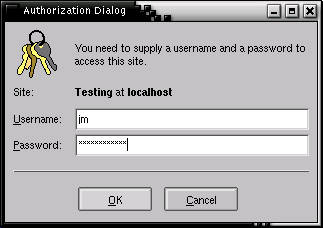 Type your username and password, and (assuming they're right) you'll see the Choose Site page. 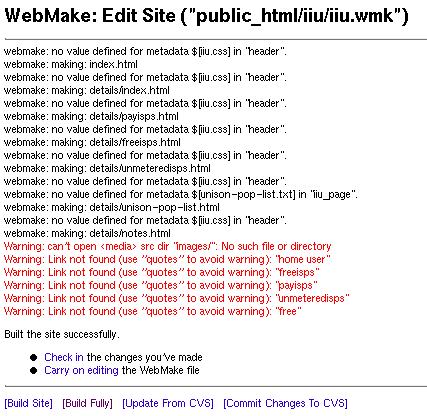 Choose the site (ie. 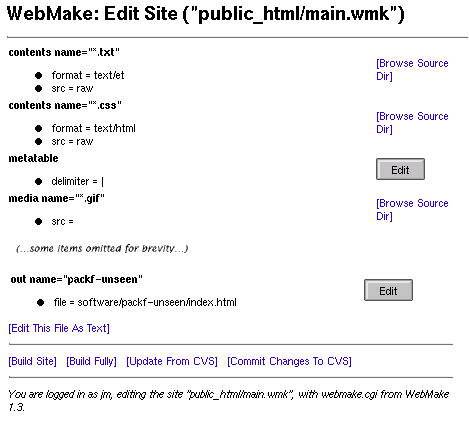 the .wmk file) you wish to edit and click on its Edit link. 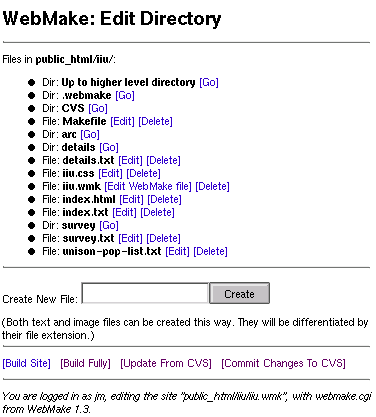 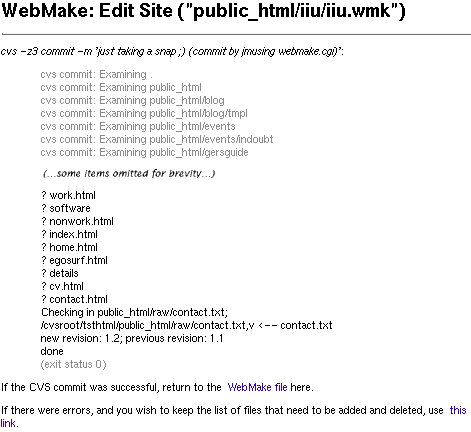 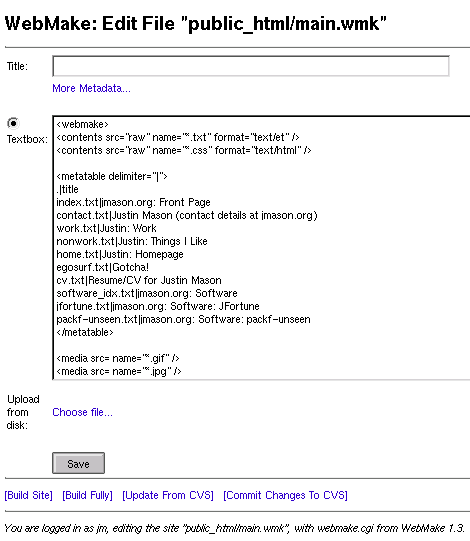 Once this is done, click on the return to WebMake file link to return to the Edit Site page. 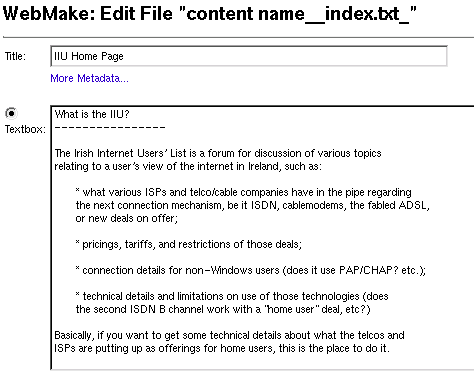 This allows you to edit the text of the item, and even upload new text from your local disk, if you so wish. 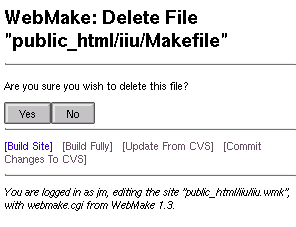 Hit the Save button to save the changes, or just hit your browser's Back button to avoid saving. 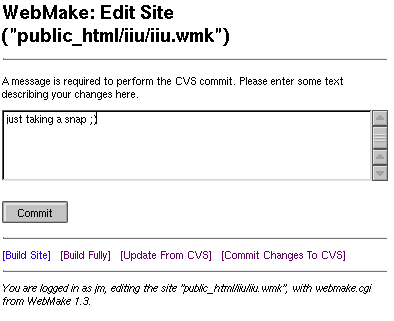 And, once you've provided that, will send your changes back to the CVS server. 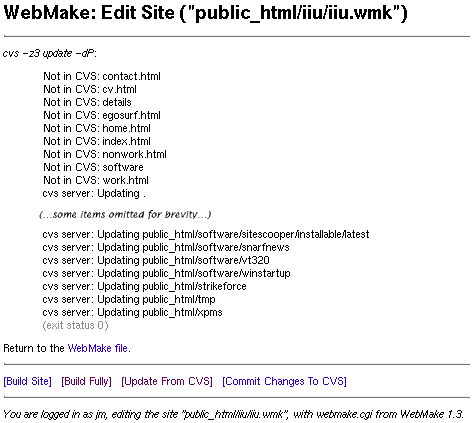 Note that WebMake tracks any files you've added or deleted using hidden CGI variables, so once you've done a commit, you're given a choice between clearing out this list (if the commit was successful), or keeping them (if it failed in some way).